driving new levels of efficiency and automation. status updates, warranty claims, and RMA requests without any additional cost. Warranty Call dispatch from manufacturers and TPA sites are retrieved automatically in real time. Every incomplete repair service status can be updated to manufacturers and TPA site at your leisure with one click. Automatic payment claim submission for N.E.W service calls. Smart Link Agent updates the pending claim status daily to react timely for pending claims and to reduce claim loss. 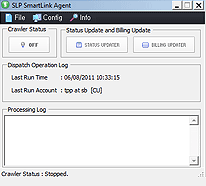 For RMA requests that must be submitted online, Smart Link Agent can do the job automatically. 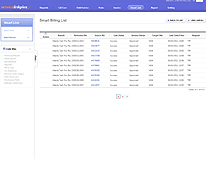 Smart Link Agent updates RMA request status daily to users for return parts in a timely manner. All automation features can be scheduled at the user’s convenience. Worried about loss of data? Smart Link Agent backs up your data daily. Greater efficiency at a lower cost for better service. Save administrative and operational cost by streamlining your operation. Increase revenue by minimizing the possibility of dropped dispatch calls from incorrectly input information or human error. 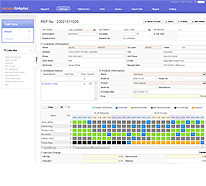 Save time from manually copying and pasting information between manufacturers and TPA sites. Faster service status updates for customers. administrative time and cost for service centers. Warranty call dispatch from numerous Manufacturers and Extended Warranty Providers is retrieved automatically and consolidated onto one list. 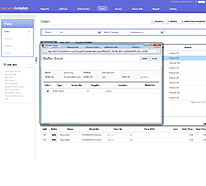 Customer details along with product and service Information are retrieved and dispatched on the Dispatch module. Retrieval interval time can be set flexibly by users. 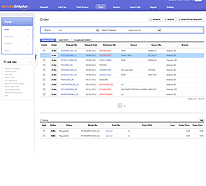 One consolidated dispatch window from multiple manufacturers and Extended Service Providers. Setup pre-defined rules to automatically assign technicians based on skills, work capability, repairable brands and products, and proximity to the job on the day. Setup work zones by allocating zip codes to each zone and assign each work zone to field technicians in a way to make sure daily route is the most optimal. 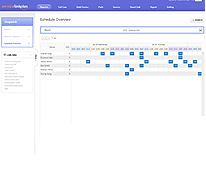 System automatically recommends and shows available technicians and time slot based on pre-defined technician’s availability and work zone setting. Maximize productivity of field technicians by improving the first time fix rate with assigning the right job to the best technicians. one consolidated screen, anytime on demand. Ensuring that the right job is assigned to the best available technician. Ensuring that the technicians are not overbooked in their schedules. Ensuring that your technicians work more and travel less. All Dispatched service calls and the service status can be conveniently managed at the call care module. warranty ticket number, customer name, phone number, zip code, branch, source, and/or technician. a substantial amount of administrative time on the part of your service center. and other status updates reducing number of inbound and outbound calls that you need to make or take. Users can easily create new service call at the Inbound module. feature and having customers have access to Service link plus portal to follow up on their repair status. customer issues thereby increasing customer satisfaction. 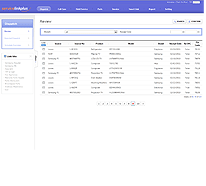 Provide quick and easy search for any customer service Related inquiries with the inbound module. All outbound calls that CSR need to make are automatically listed on outbound module. By maintaining a complete record of every repaired product, you can improve the efficiency of the service operation. productivity by improving real time dispatch and update efficiency. Technicians can access their assigned Work orders on-line or on a mobile device maximizing productivity. The technician is provided with the current day’s work orders which are logistically organized into a route that is constructed and displayed utilizing Google Maps. The technician has the ability to instantly update the repair status by simply clicking on work orders and entering updated information. 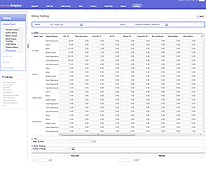 You can Keep accurate track of your parts consumption, Labor expenses and your time contributions. of symptom, diagnosis, and repair data in one centralized location. Technicians can conveniently request parts on the work order module. Maximize productivity of field technicians by providing them with web-based and mobile management tools. Keep accurate track of repair status In a real time by instantly updating repair status through our mobile solution. Maximize productivity of field technicians by dispatching new service calls through mobile solution during route. Reduce Parts request lead time. based on the pre-defined rules so you can save time for status updates to manufacturers and Extended Warranty Providers. 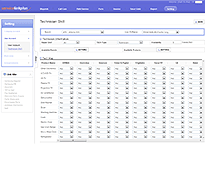 through the Service LinK Plus portal, you can minimize the operational costs on your call center. Each part is seamlessly tracked and managed on one screen as it is ordered, received, used, and/or returned. System automatically search parts by model and description through integrated parts Data base. System automatically lists return items by types (damaged, disuse, dud, wrong order) so return status can be seamlessly tracked and managed. Requested part items are conveniently consolidated into one list for ordering purposes. User is able to search and sort orders and inventory by using part #, order#, reference#, or invoice #. User can create and print labels as user receives parts. 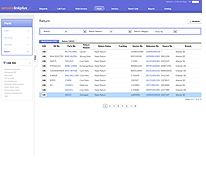 Easily track and manage unused inventory and returned items minimizing return loss. User can merge different multiple parts orders into one order. 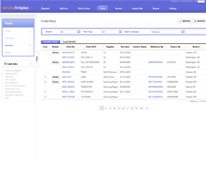 Minimize parts loss by seamless tracking of each parts status (Order, Receiving, Return). Intelligent BPM model clearly shows what parts are to be ordered, received, and returned. Reduce parts management cost. 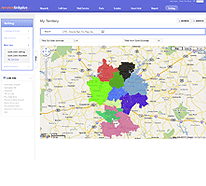 Maximize utilization of unused inventory by easy search and tracking tools. Reduce lead time for parts search and order process. Improve Repair Turn Around Time by utilizing automated parts search and order function. extended warranty providers, and COD customers. manufacturers and Extended Service Providers web sites saving your administrative time and efforts. etc.Invoice amount is automatically retrieved and displayed as users set labor rate table at the setting module. 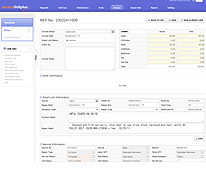 Invoicing is made simple and is always accounted for whenever work order is completed. Expedite warranty processing lead time through Smart Order. Quick finding and correction for claim error. covered by analytical and graphical reporting capabilities. will be graphically displayed on the management dashboards. Ability to grant the right permissions and access control to any report or dashboard based on user roles. productivity and job status by branch, technician, work period, and many more search conditions. decisions based on the state of the business. so management identifies which operation needs management’s urgent attention. parts status, and sales revenue.